Geologist, engineer and seismologist John Milne is known as one of the most significant contributors to the understanding and evaluation of earthquakes, developed the first international network for seismological data, and created what may be considered the world’s first modern seismograph. John Milne was born on 30th December 1850 in the Edge Hill district of Liverpool. He spent his early life and formative years in Rochdale at 147 Drake Street and later Tunshill House. He later moved to London with his family and when he was seventeen began to study within the Department of Applied Sciences at Kings College. It was not long before he began to gain recognition for his work and receive many awards, the most significant of these an ‘A.K.C’ for Divinity. During his time at Kings Milne undertook a variety of courses including Geology, Mathematics, Mechanics and Mineralogy to name a few and as his education continued he became profoundly interested in Geology and Mineralogy. After receiving a Royal Exhibition Scholarship while at Kings, Milne continued his studies at the Royal School of Mines, London. 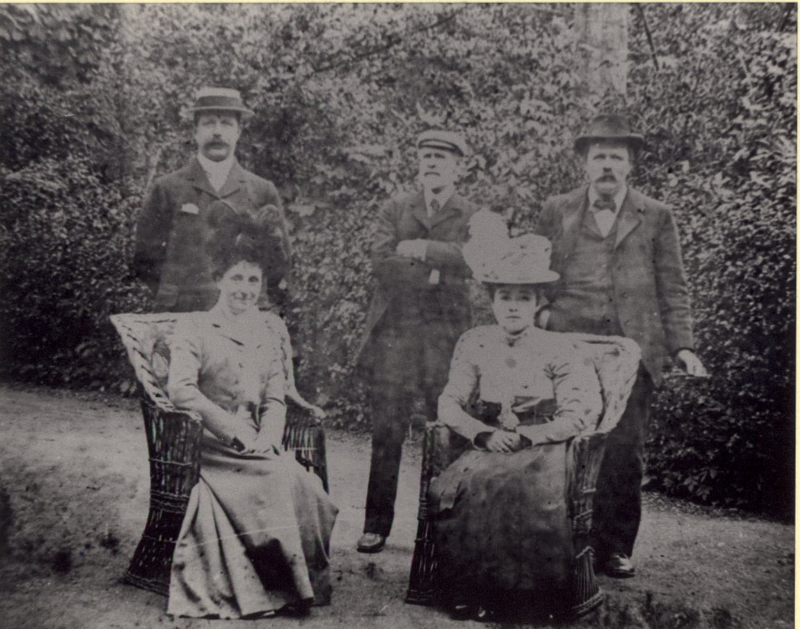 In the early 1870’s he gained practical experience in the mines of Cornwall and Lancashire, and in Germany studying Mineralogy at the University of Freiberg. His urge to travel during his university years also took him to Iceland with his great friend William Lord Watts, to explore the Vatnajokull glacier. It was during this trip that Milne discovered his great dislike for travelling by boat as he suffered from chronic sea-sickness. Upon their return both men shared their findings in a series of lectures to the Engineering Society of the College. It was this expedition and the many to follow which underpinned Milne's extensive geological understanding and knowledge. Milne completed his studies at the age of twenty-three and with his education finished he searched for employment. Almost instantly he was asked to travel to Newfoundland along with Cyrus Field over the summers of 1873 and 1874 to investigate and locate coal fields. During this period he was also recruited by the Royal Geographical Society as a geologist and under the guidance of Dr. Charles Tilstone Beke travelled to the Sinai Desert. On both expeditions he made extensive geological notes and wrote several papers on his findings including Notes on the Physical characters and Mineralogy of Newfoundland (Journal of the Geological Society) and Geological Notes from the Neighbourhood of Cairo (Geological Magazine),both published in 1874. As well as this, the work undertaken at Mount Sinai was published within Beke's book, containing many of his original sketches and his geological report in one of the appendices. It was from this point forward that Milne's name became known and his reputation as a competent and qualified geologist began to grow. The year of 1875, when Milne left Britain for Japan, was noted to be a marked turning point in both his personal life and career. At this time a new era was unfolding in Japan, known as the Meiji Restoration of 1868. Under the Meiji Government one of the five provisions was to widen the knowledge base to ultimately strengthen the foundations of the new rule. As a result, the Imperial College of Engineering was founded in Tokyo and at the age of twenty-five Milne was invited to become the first Professor of Mining and Geology at the Institution. For a short period this was the largest technical college in the world, until 1886 when it became part of Tokyo University. His dislike of travelling via water led to Milne's well documented overland journey to Japan through Europe, and Russia. The expedition took almost a year and although it would have been significantly shorter by boat Milne saw this as a great opportunity to deepen his geological knowledge on a global scale. His complete set of notes was later published in the Transactions of Asiatic Society of Japan (Volume 7, pages 1-71) and partly as a result of his extraordinary expedition, Milne was elected as a Fellow of the Royal Geographical Society. When Milne reached Japan in 1876 the College was still relatively small, with approximately twelve professors and six supporting lecturers. Many of Milne’s colleagues, like himself, were exceptionally young although each was seen as competent in their specialist subject areas, with Milne teaching Mining, Architecture, Chemistry and Metallurgy. He soon became known for his sheer thoroughness and on several occasions added to textbook notes or even created his own where he deemed them insufficient. One such set, Notes of Crystallography and Crystallophysics were published in 1879 with over five hundred copies printed. During the same period, in Japan, earthquakes were beginning to be studied from the likes of Hattori and Nauman. With debates rife, from contributors such as James Alfred Ewing, Thomas Lomar Gray and William Edward Ayrton, Milne began to contribute his own geological knowledge and opinion to their discussions. However, the Tokyo-Yokohama earthquake of February 1880 was considered, and still is, the final transition of Milne to a seismologist. It was this event that triggered Milne, along with Ewing and Gray, to create the 'The Seismological Society of Japan', the first society dedicated to seismology. Although elected as president Milne turned this honour down, instead recommending Hattori, a prominent Japanese official. Milne realised not only the importance of better instrumentation to make progress in the field of study, but also that the services of many others were needed. Milne, unlike others, focused on producing an instrument that could record aspects of ground motion, and with time his colleagues acknowledged his views. This led to the invention of the Milne-Gray seismograph, taken to Britain in 1881 to be produced by James White in Glasgow. For the first time the results that were collected enabled ground motion to be interpreted as a function of time. From 1892 the work of the committee spread from Japan to include more distant earthquakes. By the end of Milne's twenty year period in Japan there were almost one thousand centres where earth movements could be registered and recorded. Milne's work began to be recognised in Britain and the Geological Society of London awarded him the Lyell Medal, as well as providing financial support for his research which supplemented that provided by Japan. In conjunction with his work for the Seismological Society of Japan, Milne became increasingly interested in earthquake mitigation. In the early 1880s he became involved in construction, particularly of bridges and buildings, designing innovative measures to withstand earthquake shocks. Consequently he advised on building regulations, some of which were incorporated into Japanese building codes and in 1888 he was awarded with the Order of Merit with the Cordon of the Second Treasure, later being raised to the status of Chokunin. The great Mino-Owari earthquake of 1891 also proved to be a marked point in Milne's career. The destruction caused led to the immediate formation of the Imperial Earthquake Investigations Committee, of which Milne was the only international member. As a result the Seismological Society of Japan was abandoned in 1892 and the transactions previously produced were followed by the Seismological Journal of Japan which Milne edited until 1895. Following this, Milne went on to publish several major works, exploring the relationship between seismic activity and terrestrial relief before returning to Britain later that year. He also influenced the BAAS, (The British Association for the Advancement of Science) to set up the Seismological Investigation Committee in 1891 to investigate earthquake tremors that occurred in the British Isles. The committee consisted of himself, A.C Ramsey and Charles Davison. Milne established observations on a national scale while in Japan and on his departure, for the first time, the responsibility of seismic research was placed into Japanese hands. In the summer of 1895, Milne made a sudden and unexpected move from Japan to the Isle of Wight, England, perhaps the result of a catastrophic fire which had engulfed his home and observatory and caused the loss and destruction of much of his work and instruments. Although once back in Britain he was able to replace some items, he grieved the loss of those which were irreplaceable for years. Being virtually unheard of in his home country proved to be a blessing, allowing Milne to be left to his own devices and to continue with his work. 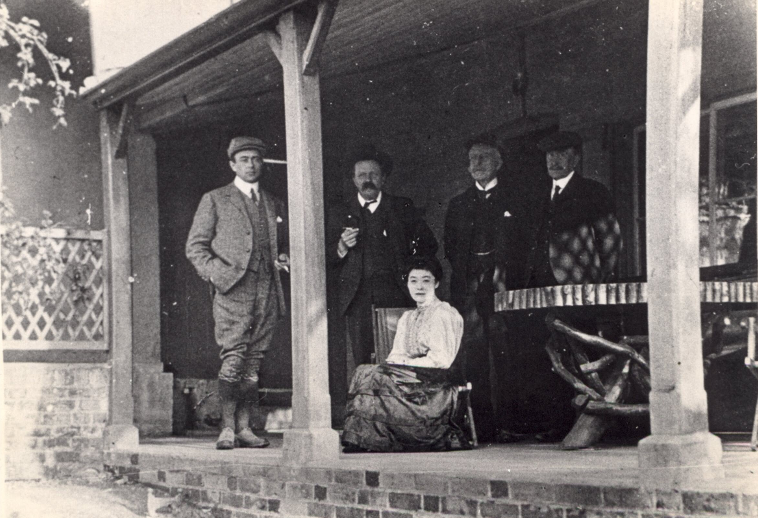 Milne settled with his wife Tone, his mother and stepfather, and trusted assistant Shinobu 'Snowy' Hirota at Shide Hill House near Newport, chosen due to the underlying geology which allowed for seismic studies to occur. It was at Shide that Milne constructed a seismograph observatory, this the first of its kind in Britain, with another seismograph placed within the grounds of Carisbrooke Castle. The observatory itself grew in size, with a laboratory constructed in early 1900. This was by no means government funded and Milne largely relied upon his own fortune to fund such projects. However, a colleague and good friend Matthew H. Gray did provide some financial support, offering Milne £1000 towards the construction of the laboratory, which when built made the observatory an established institute. Later Milne received further financial assistance from the Daily Mail newspaper, the British Association and the Royal Society for his work, although in many cases this money was insufficient. Shide soon became the global centre for seismology and it was from here on that Milne focused upon earth movements, making use of the horizontal seismograph that he had constructed in Japan in 1894. Over the following years more seismographs were positioned over the British Isles and readings were sent directly to Shide to be analysed and catalogued. Shinobu 'Snowy' Hirota helped Milne to carry out this task and continue to develop his instruments. In addition to this, Milne turned his focus back to writing, publishing 'Earthquakes and other earth movements' in 1886 and 'Seismology' in 1898. He also began producing earthquake maps, visually displaying where earthquakes were occurring on a global scale. Milne was deeply interested in the earlier work of Ernst von Rebeur-Paschwitz and shared his 'dream' of an international community of earthquake observatories. However, due to Ernst’s death in 1895, his opinions were never fully appreciated nor understood. Distant earthquakes were being recorded at Shide and this ultimately led to the creation of such a network. After an 1896 tsunami that hit Japan, Milne investigated the phenomena and wrote a lengthy report considering the positioning of oceanic faults and the consequences this had upon global communications and oceanic cabling. As a direct result, through the Seismological Investigation Committee, a network of seismograph stations, (Milne's horizontal seismograph became the standard instrument) was formed. Positioned initially in twenty-two stations. This expanded and twelve more stations were added, mainly in commonwealth nations. Data was sent to Shide where it was catalogued and later distributed in a bulletin known as the Shide Circular. This remains the only continuous publication (on a global scale) of early station bulletins between 1899 and 1912. In the eighteen years that Milne was resident at Shide Hill House, experts, amateurs and reporters travelled from across the world to discuss current developments. Colleagues would visit as often as possible and in many cases Milne inspired others to undertake work like himself. One such person was John Johnson Shaw, who first met Milne in 1896. Inspired by Milne, he returned home to turn his basement into a laboratory and a short period after had constructed his own seismograph. This friendship and interest resulted in the later development of the Milne-Shaw seismograph in 1913 which became the standard recording instrument for a considerable amount of time. Milne was host to other, more prestigious guests at Shide, such as Prince Boris Galitzin. Prince Galitzin was the key to advancements in Russian seismology, developing not only the first network in Russia but also the first electro-magnetic instrument. Captain R. F. Scott had also been a visitor to the observatory at Shide, as he later transported one of Milne's seismographs to the Antarctic with him. In his bid to escape from reporters Milne would often play golf, to return in a calmer state ready to answer their seemingly endless enquiries and questions! At this stage in his career, Milne was considered the 'Father of Seismology'. The extent of his services to the discipline and the research that he had undertaken gained him recognition in the form of a Royal Medal awarded by The Royal Society, an honorary D.Sc. from Oxford University and the University of Tokyo making him a Emeritus Professor. Milne's work had had a global effect. However, the amount he contributed to the science of seismology and the level of his research would not have been possible without the assistance and dedication of his trusted companion Shinobu 'Snowy' Hirota, who on many occasions supported Milne in the development and care of instruments and the observatory. The pair were companions for seventeen years, until ‘Snowy’ was struck with illness and promptly returned to Japan in December 1912, where he died soon after. His death was noted to be deeply distressing for Milne, who later called upon Howard Burgess to take over 'Snowy's' role in the observatory. Around this time Milne was also suffering from illness, which was later diagnosed as Bright's disease (a kidney disease first described in 1827 by Richard Bright). Milne deteriorated rapidly; by the end of July 1913 he had slipped into a coma, passing away at the age of 62. The death of Milne was widely reported, both in Britain and internationally. In the academic community it was received with widespread shock and many of his colleagues travelled vast distances to pay their respects. The work Milne produced over the past twenty-five years created many opportunities. His preliminary studies into seismology permitted a new generation of seismologists to explore new ideas and alternative fields of enquiry. After Milne's death, many in the academic community believed the importance of continuing the work that Milne had begun. In particular, Prince Galitzin and the geophysicists Professor J.W. Judd and Professor A. Geikie highlighted this need, calling upon Professor Herbert Turner of Oxford University Chairman of the British Association Seismological Committee to oversee the running of the observatory. For some six years after Milne's death, two of his lifelong friends, Mr. Burgess and Mr. Pring ran the observatory under the guidance of the University. 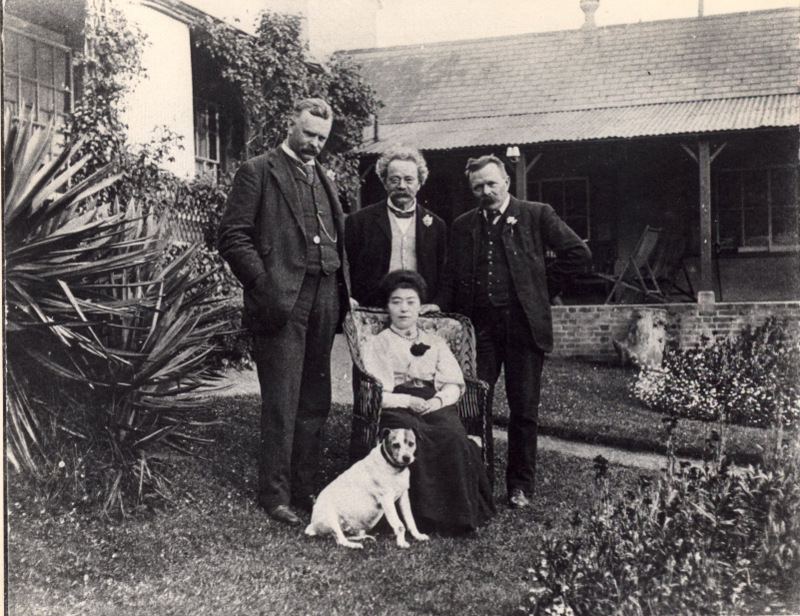 Professor Turner rarely travelled to the Isle of Wight due to other commitments and so for economic reasons and also for convenience, the observatory was re-located in 1919 to Oxford, where Professor Turner continued to oversee its functioning. From this point the observatory produced the publication, the International Seismological Summary, which was the forerunner of the Bulletin of the International Seismological Centre. The establishment of the observatory in Oxford prompted Tone's decision to leave the Isle of Wight and return to Japan. Her basic command and knowledge of the English language left her unable to cope with everyday affairs and she herself was not in good health. Many of Milne's possessions, including his Royal Medal returned with her. However, this medal and other belongings have since been lost or destroyed. Thankfully, much of his work, including his books and instruments were donated to the British Association, in the hope that these could be used by the Seismological Investigation Committee. The few possessions that remained in Britain were auctioned off when Shide Hill House was sold. John Milne left an astonishing legacy to the world, exploring and kindling the discipline of Seismology until it was established and received the international recognition that it deserved. Despite this huge feat, he is barely known in his home nation, perhaps this is partly due to a large portion of his career being spent in Japan. On returning to Britain he settled in an area that was mostly free of seismic activity and thus, there was little interest in the subject. Aside from the display of his instruments in the Science Museum, London, few efforts or attempts have been made in Britain to bring Milne's work to the attention of the public. His birthplace has been re-developed, Tunshill House demolished and his residences in London undetermined. Milne's childhood home, 147 Drake Street, Rochdale remains. However, there is no reference to its past inhabitant! Despite his lack of recognition in Britain, Milne is still widely remembered and commemorated in Japan. 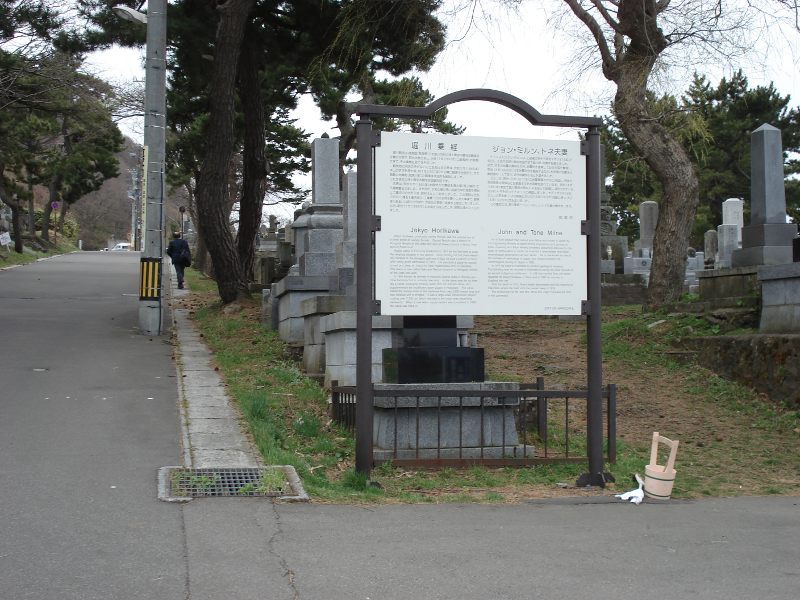 In 1923 a memorial was erected in Hakodate cemetery in memory of him and Tone. In addition to this an information board displaying his achievements was also installed. Further, a commemorative exhibition was held in 1963 in honour of Milne, marking fifty years since his death. Milne's studies serve as a foundation for our understanding of the earth as a dynamic system, helping to unravel the perplexities of its interior. Indeed, it was Milne’s work which underpinned and ultimately led to the establishment of what is known today as the International Seismological Centre, where he is regarded as the founder of the profession and the initiator of the extensive network of seismic stations reporting to ISC from all around the world. 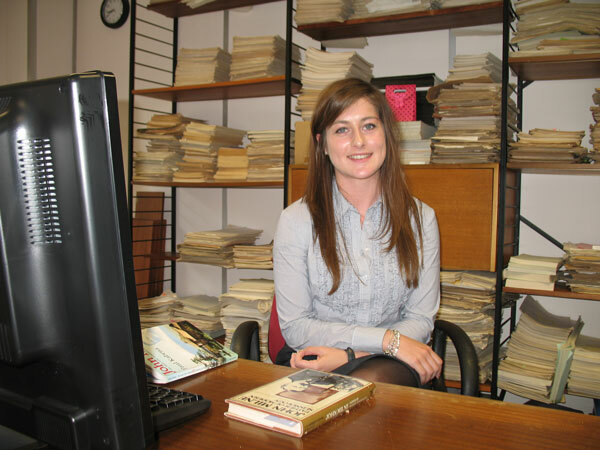 Compiled by Kate Godsmark, student of Birmingham University, whilst receiving work experience at the ISC in August 2012. Rochdale Observer (9th August 1975) Faking a quake for an emperor.